Compact coalescent histories are combinatorial structures that describe for a given gene tree G and species tree S possibilities for the numbers of coalescences of G that take place on the various branches of S. They have been introduced as a data structure for evaluating probabilities of gene tree topologies conditioning on species trees, reducing computation time compared to standard coalescent histories. When gene trees and species trees have a matching labeled topology \(G=S=t\), the compact coalescent histories of t are encoded by particular integer labelings of the branches of t, each integer specifying the number of coalescent events of G present in a branch of S. For matching gene trees and species trees, we investigate enumerative properties of compact coalescent histories. We report a recursion for the number of compact coalescent histories for matching gene trees and species trees, using it to study the numbers of compact coalescent histories for small trees. We show that the number of compact coalescent histories equals the number of coalescent histories if and only if the labeled topology is a caterpillar or a bicaterpillar. The number of compact coalescent histories is seen to increase with tree imbalance: we prove that as the number of taxa n increases, the exponential growth of the number of compact coalescent histories follows \(4^n\) in the case of caterpillar or bicaterpillar labeled topologies and approximately \(3.3302^n\) and \(2.8565^n\) for lodgepole and balanced topologies, respectively. We prove that the mean number of compact coalescent histories of a labeled topology of size n selected uniformly at random grows with \(3.3750^n\). 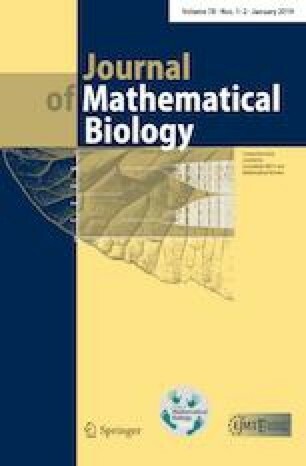 Our results contribute to the analysis of the computational complexity of algorithms for computing gene tree probabilities, and to the combinatorial study of gene trees and species trees more generally. Support was provided by National Institutes of Health grant R01 GM117590 and by a Rita Levi-Montalcini grant to FD from the Ministero dell’Istruzione, dell’Università e della Ricerca.